Phew...two great giveaways in one week!! 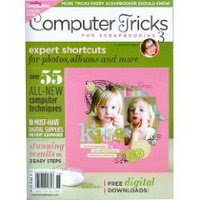 On National Scrapbooking Day, I offered up a free copy of Jessica Sprague's wonderful new installment of amazing digital and hybrid techiques, Computer Tricks for Scrapbooking 3 . 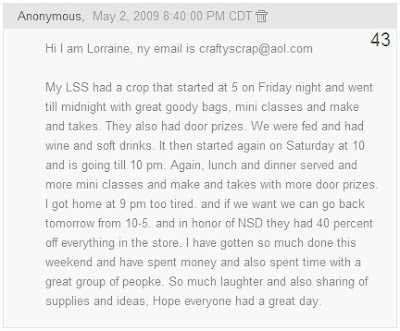 Congrats, Lorraine...sounds like you had quite the NSD weekend and now you get a little bonus for your creative productivity! 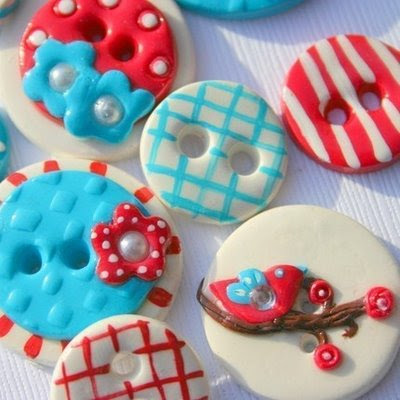 THEN, we also had those adorable little buttons that Tessa Ann offered up from her etsy shop. From the looks of the comments, there's a little something for EVERYONE in Tessa Ann's store. Congratulations, Lana!! I think it's pretty awesome that the winner ended up being someone that actually listed these exact buttons as her favorite! Lorrainne and Lana, I will be emailing you soon with details on how to claim your prizes. 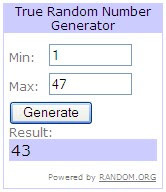 If you didn't win the free copy of Jessica's book in this giveaway, come back next week. I will be posting a review of the book along with another chance to win! All of the entries for the April Daily Inspirations have been collected and a random winner will be chosen very soon. Please watch for the announcment early next week! In the meantime, be sure to check out the May Daily Inspirations and enter for your chance to win this month's great prize package!